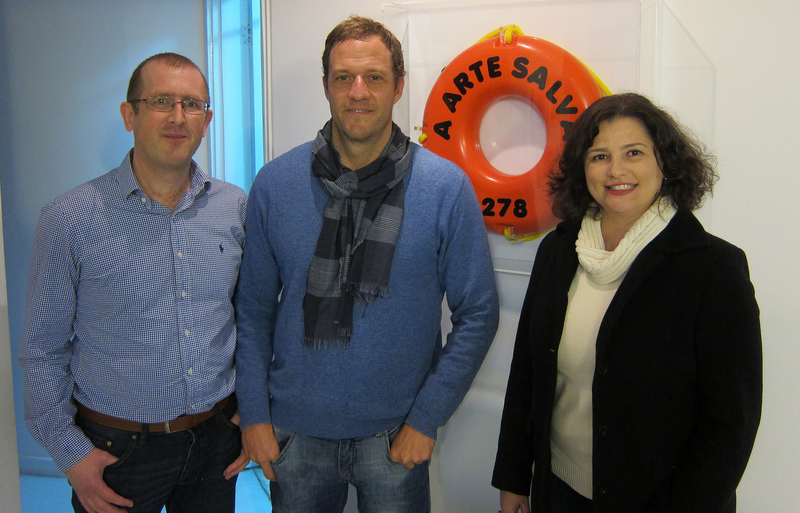 Maria and I recently had the chance to catch up with Brazilian artist Eduardo Srur, who had invited us to his studio in São Paulo for a chat about art, sustainability, leadership and transition after we had met at Sustainable Brands San Diego earlier this year. Eduardo is one of the world’s leading urban interventionists, designing large scale works of art in urban spaces which draw people’s attention to the environment and major issues affecting cities and urban living. He founded the São Paulo-based company Attack Intervençöes Urbanas and has worked in partnership with many leading brands. This particular installation immediately caught Maria’s and my attention a few months ago before we knew Eduardo, as it was installed on a bridge near our apartment. 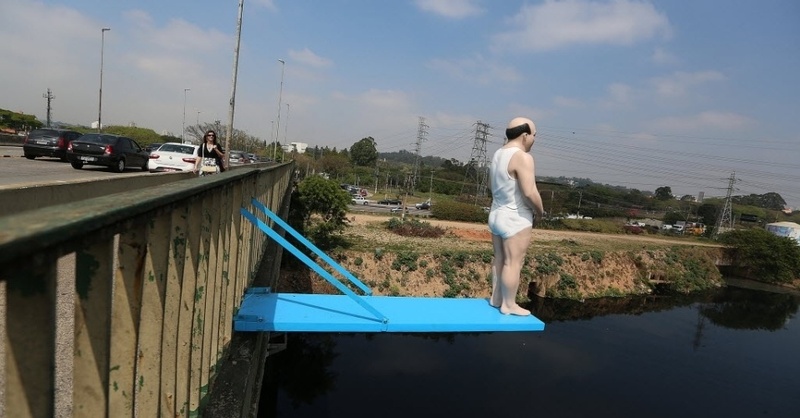 The River Pinheiros is hideously polluted and really stinks as well, and the statue forces us to question our relationship to the water and its constitution. The bridge is a busy traffic bridge, and many Paulistas did in fact think it was a real person, with many calling the police worrying that someone was about to jump in. Our conversation with Eduardo was wide-ranging, and we discussed art and our experience of art in relation to Holonomics and the holonomic operating system. Eduardo is really interesting as an artist in that he is able to stay within his artistic consciousness while at the same time managing to engage with global brands and help them understand how his urban interventions can contribute authentically to their efforts at changing people’s consciousness, awareness and patterns of consumption. This changing awareness comes from the ability of art to somehow knock us temporarily our of our normal unconscious daily patterns of thinking, forcing us to momentarily contemplate the unexpected. This is why urban interventions are so important, as there is no avoiding the shock of what we encounter what are normally highly familiar locations where we are often on auto-pilot. It is interesting to look at the growing trend for people to seek out not ever new products, gadgets and shiny things, but to seek out novel and exciting experiences. Ultimately, every interaction with a product such a smart phone or watch or even something as mundane as a kitchen knife is an experience, but the idea of the experience economy is to actively seek our new and unique sensory experiences, such as restaurants in which we eat blindfolded. 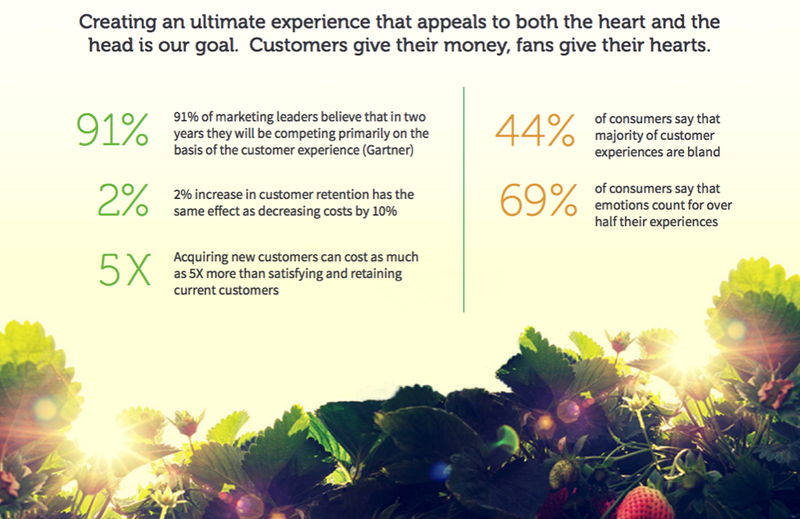 Recent research on the Net Promoter Score shows just what big an impact experience has on our purchasing decisions. 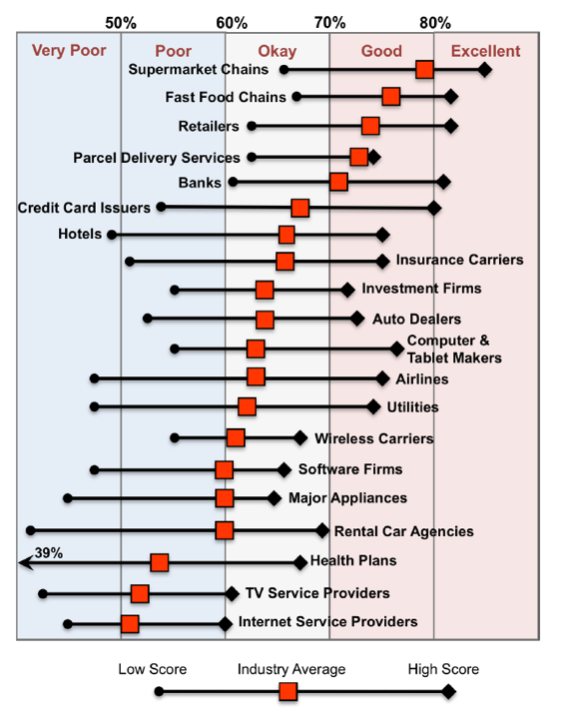 The Net Promoter Score tells a company what percentage of its customers would be happy to recommend its products and services to a friend or family member. Clearly the quality of experience plays a huge role, but research from the Tempkin Group shows just how few companies get this right. This tells us that although experience is maybe the fundamental nature of what it is to be human, companies are failing to understand the very nature of experience. 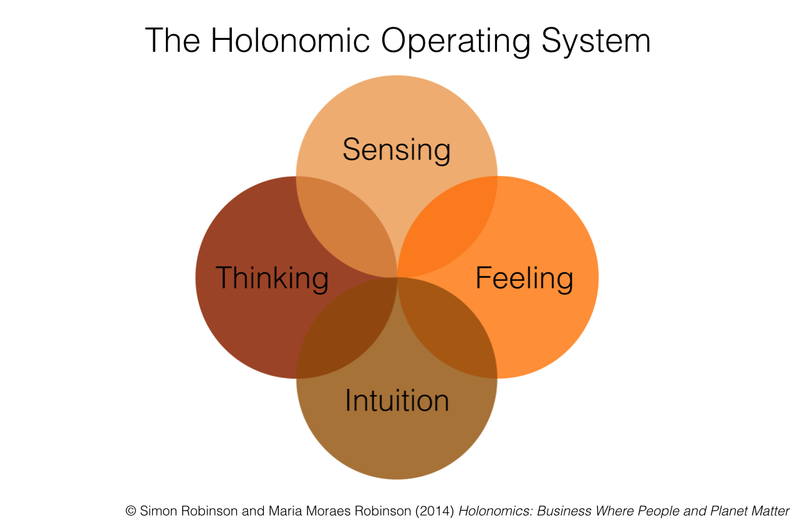 Maria and I are working with a number of companies to introduce holonomic thinking into their whole organisations. The reason why this is such a powerful intervention is that holonomics fully integrates artistic vision into our conception of who we make sense of the world, how we explain our place in the world and how we relate to others, both other people and our environment. We often do not realise that the experience of others can be dramatically different, not just in terms of quantitatively different ideas, theories and attitudes, but in ways which are so much more qualitatively different. It is here where we can explore artistic consciousness, despite perhaps not considering ourselves to have any artistic abilities or sensibilities, and discover something about both ourselves and others that can allow us to implement far more effective, sustainable and transformational interventions in whichever organisation we may be working.